Directed by BJ McDonnell, Hatchet III reunites Danielle Harris (Halloween 4: The Return of Michael Myers) and Kane Hodder (Jason Goes to Hell). Written, executive produced, and “presented by” Adam Green (who directed the first two Hatchet films), Hatchet III is helmed by McDonnell, who served as Green’s camera operator on the first two Hatchet flicks as well as Green’s Spiral. 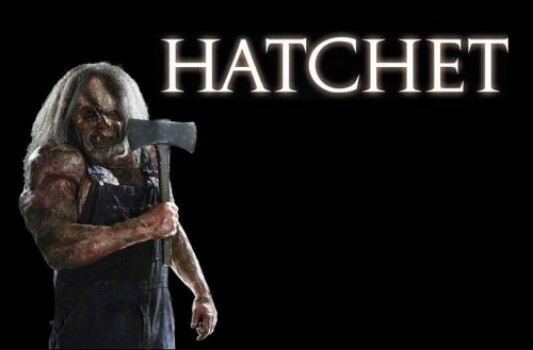 Check out the new unrated trailer for Hatchet III here below. This third installment in the new-age slasher series continues the legacy of Victor Crowley, played by Hodder, who’s best known as portraying Jason Voorhees in numerous Friday the 13th movies. As a search and recovery team heads into the haunted swamp to pick up the pieces and carnage left behind from the first two films, Marybeth (Harris) hunts down the true secret to ending the voodoo curse that has left the ghost of Victor Crowley haunting and terrorizing Honey Island Swamp for decades.